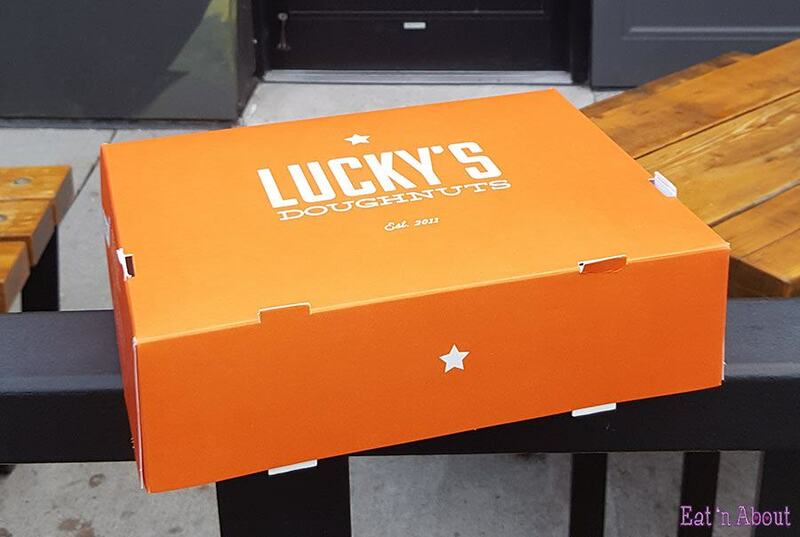 Vancouver, we ♥ Lucky’s Doughnuts > Cartems Donuterie. What finally sealed the deal was the doughnuts we had on our most recent visit to Lucky’s. 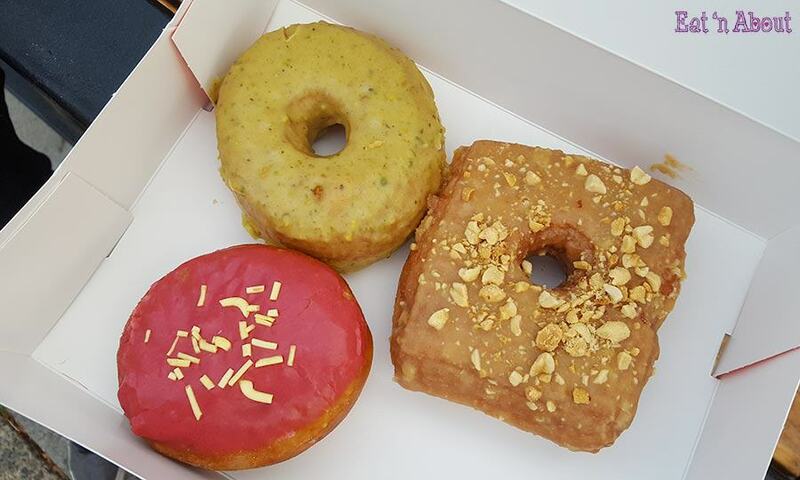 I took the reins and picked out 3 doughnuts- from the bottom: Mango Passion Bismarck($3.50), Pistachio Glazed Ring ($3.00), and their signature Peanut Butter & Jelly ($3.50). The Pistachio Glazed Ring doughnut was a simple classic yeast doughnut, covered with a pistachio glaze. The doughnut was big and fluffy and soft. It tasted quite bready though and I felt like there should be some sort of filling inside since it was so thick. The pistachio glaze disappointed us though as it didn’t taste much of pistachio at all. 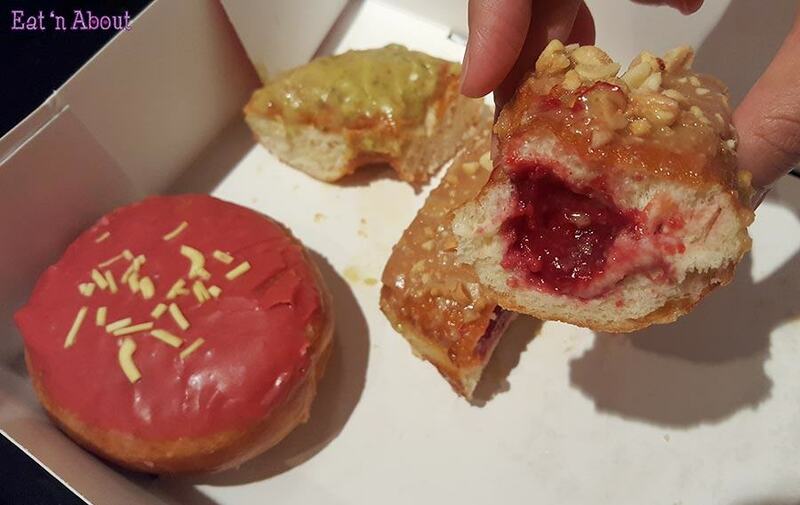 The PB&J square doughnut with peanut butter glaze and filled with raspberry jam sealed the deal for AngryRussian. He couldn’t stop raving about how fresh the raspberry jelly filling tasted and smelled, and I agree. 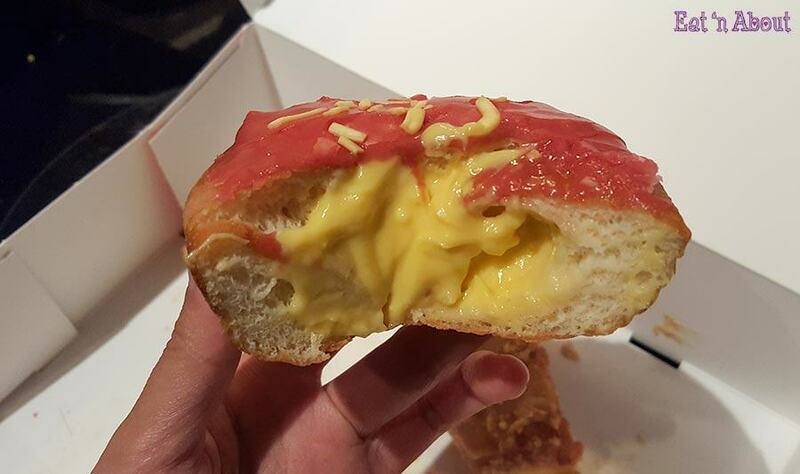 As for me, I fell in ♥ with the Mango Passion Bismarck filled doughnut. This doughnut is described as having a mango passion filling, raspberry glaze, and mango sprinkles. I felt like the glaze tasted more like passionfruit, and the filling tasted just mango. It was smooth and rich and buttery and I want to call it mango butter! It was just delicious. Despite the Pistachio Glaze letting us down, the other two doughnuts more than made up for it. AngryRussian and I both agree that the flavors of Lucky’s Doughnuts are far superior and prominent than Cartems. The one caveat we have with both places though is that if you wanted a treat in the evening…usually there isn’t much selection left?. We were lucky this time to happen to visit Lucky’s at around 7pm and they had a 3 new batches of doughnuts out…which I quickly snagged!